Joseph Michelli, author of the Wall Street Journal, USA Today, and BusinessWeek bestseller The Starbucks Experience, explains that the international success of Starbucks begins with a promise: To inspire and nurture the human spirit--one person, one cup, and one neighborhood at a time. Michelli offers a perspective on the leadership principles that drove the iconic coffee company’s resurgence from serious setbacks during the economic downturn--one of the few true turnaround stories of this time. 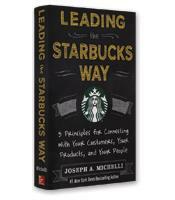 Leading the Starbucks Way is organizational consultant Joseph Michelli's second book on the iconic company, following his 2006 book The Starbucks Experience. At that time, Starbucks was an unqualified success, and Michelli's book presented five principles that explained the company's meteoric rise through the 1990s and most of the 2000s. After the publication of the book, however, the company stumbled for a variety of reasons, including unbridled expansion, a failing global economy, and less frequent visits from loyal customers. From the second quarter of 2007 to the second quarter of 2008, earnings declined by 21 percent. Howard Schultz returned as CEO in 2008, and although the global economy continued its free fall and corporate bankruptcies proliferated, Starbucks made a comeback. Today, writes Michelli, the company can boast 13 straight quarters of 5 percent or more growth. 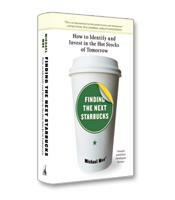 While The Starbucks Experience described how Starbucks leaders positioned the company for massive growth, Leading the Starbucks Way, Michelli writes, "outlines the foundational principles that have guided Starbucks leaders during sustained periods of meteoric growth, economic downturn, recovery and transformation." In other words, the focus of the five principles in this new book is not the rise of a startup or new company but how to create sustainable success. 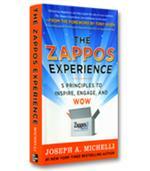 The first principle explored by Michelli is to "savor and elevate." To "savor" refers to the passion that leaders must have for their product and the importance of communicating and demonstrating that passion. To elevate means ensuring that employees convey that same passion to customers. Employee passion combined with execution, Michelli explains, leads to the kind of uplifting experience that engages customers and turns them into loyal fans of the company. MyStarbucksIdea.com, which enables customers to suggest and/or vote on new ideas, is one way Starbucks keeps its customers engaged. The second principle is "love to be loved." Starbucks, Michelli writes, is not afraid to use terminology that other corporate leaders might shy away from. Despite today's general disdain for all institutions, public or private, Starbucks manages to be one of the best-loved brands in the world. One of the main reasons, according to Michelli, is its unwavering integrity. In the dark days of 2008, for example, Schultz was pushed to cut benefits for employees. No matter what happened, Schultz declared, anyone employed by Starbucks would keep their health care benefits and stock in the company. 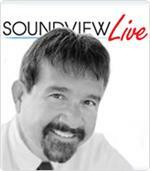 Integrity, however, is not just manifested at the top leadership level. Starbucks employees are taught that the way they treat customers, including responding to complaints, reflects the integrity of the company. Starbucks has made some mistakes, Michelli writes, in its quest to implement the third principle, "reach for common ground." Such mistakes are understandable given the delicate balance a global company such as Starbucks needs to achieve between what might be accepted across the planet and what needs to be adapted to local cultures. As Michelle Gass, president of Starbucks Europe, Middle East and Africa, explains to Michelli, "The balance between the universal and the local is more an art than it is a science." But this balance is a never-ending goal for the company. The fourth principle, "mobilize the connection," is about leveraging technology to create a better experience for customers. Mobilize the connection also explores the multichannel strategy of Starbucks, which has allowed the product to break out of the boundary of the stores. Today, Michelli writes, customers can find Starbucks products "in their homes, their offices, other businesses, and virtually anywhere they go." The fifth and final principle, "cherish and challenge your legacy," is a call to honor the past but not be trapped by it. Polaroid's unmatched strengths in film technology, which led to its monopoly in the instant photo market, also led to its downfall when the world went digital. Starbucks is always looking for new ideas — including potentially risky game-changers — relevant to its audience. Leading the Starbucks Way reveals why Starbucks continues to be a shining example of the impact that a customer-centric, innovative and socially conscious corporation can have on people and the world.